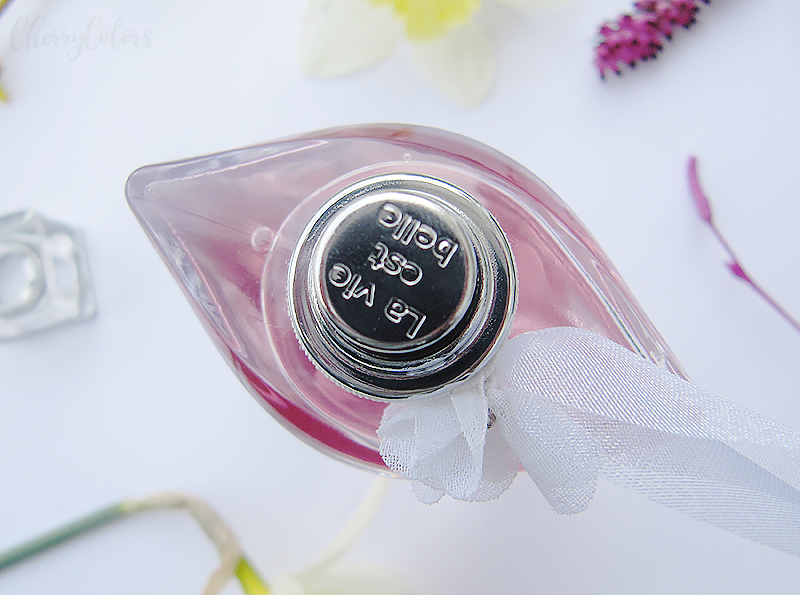 Lancôme - La Vie Est Belle Florale - Cherry Colors - Cosmetics Heaven! 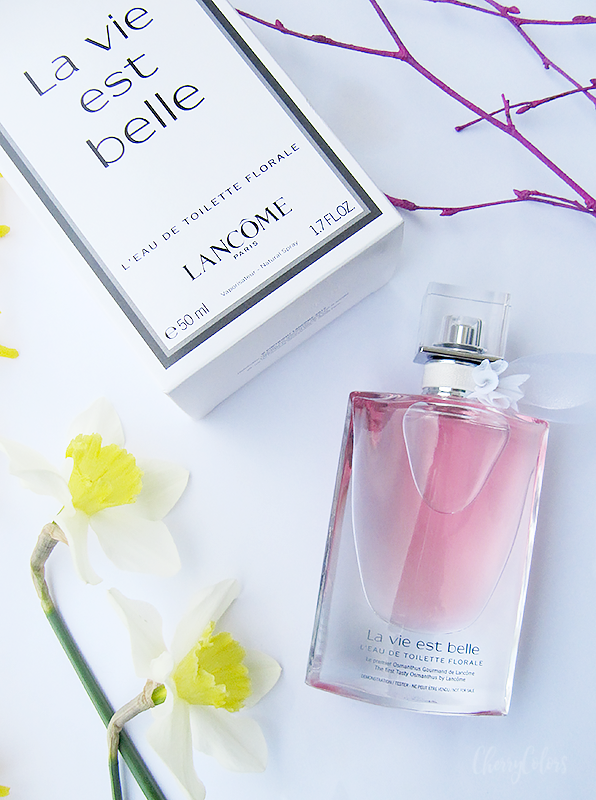 Lancôme came out with a new version of the well-known La vie est belle EDT. And let me tell you something,... it smells deliciously fresh and at the same time powerful. 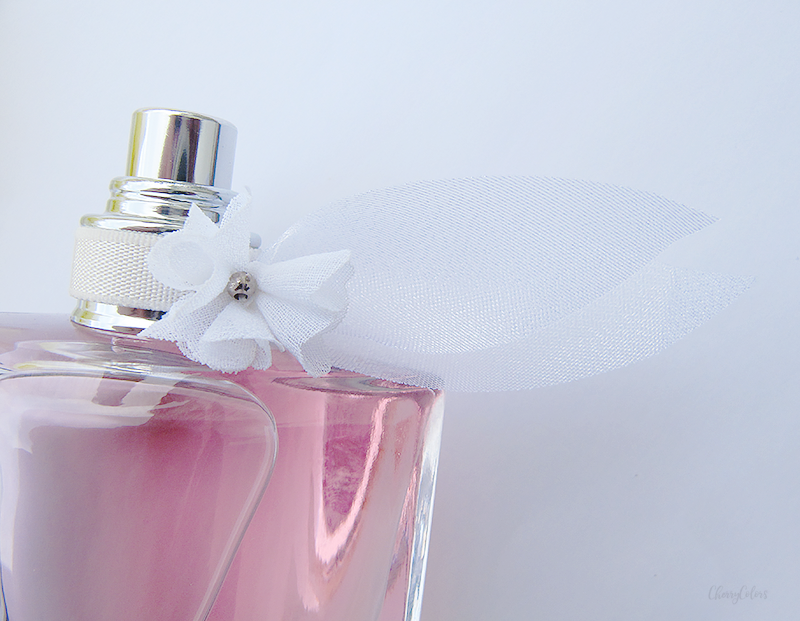 The new scent came out at the end of February 2016. 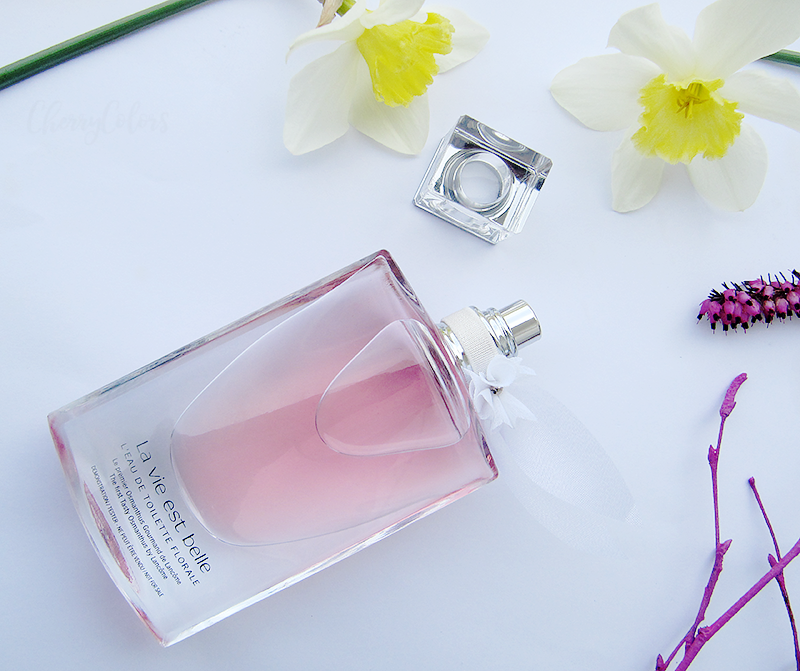 Lancôme introduces EDT Florale; a new addition to the La Vie Est belle range, with a luminous, fruity, floral & delicate scent. Truth to be told, the first version of the scent didn't speak to me. It was too strong, too... I don't know. I didn't feel it. But this one, oh this one is very special. I got to smell it in our local drugstore and it was love at first smell. Beautiful. Bold. Feminine. And yet gentle. This is definitely the IT perfume for this Spring. It smells amazing and on me, it lasts many hours (overnight or about 5 hours during the day). Wonderful. I never thought my favorite perfume would be one from Lancome, but there it is. Blooming with delicious smelling notes.